Hanna Rosin's 2017 Gracie Award in the Reporter/Correspondent- Non-Commercial Syndicated category. Mary Louise Kelly won the Reporter/Correspondent/Host-Non Commercial award in the Radio category for her All Things Considered interview of Jarl Mohn. Weekend Edition Sunday won a Series-Non Commercial award in the Radio category for covering multiple #MeToo stories. NPR's National Desk won a Crisis Coverage-Non Commercial award in the Radio category for Debbie Elliott's crisis reporting on the Charlottesville protests, aftermath of Hurricane Harvey in Beautmont, Texas, and Sutherland Springs church shooting. NPR Music received an award in the Interactive Media blog category for their "Turning The Tables" piece. Elise Hu won the award for Online Video Host or Correspondent for her video series, "Elise Tries" in the Interactive Media category. Kelly McEvers and Kat Lonsdorf won in the Radio category for a non commercial interview feature for their All Things Considered piece, "Three Generations Reflect on Hollywood, Harassment and Hitchcock." KUOW Puget Sound Public Radio won in the News Feature-Non-Commercial Local for "A Miscarriage in ICE Detention." Manoush Zomorodi won in the Host/Anchor-Non-Commercial Local category for hosting Note to Self. Natalie Migliore of WFUV, at Fordham University, won an award for News Feature-Student for "Combating Mental Health Issues in Public Schools. Kelly Prime won in the Producer-Non-Commercial category for her work as a producer with More Perfect's episode, "Enemy of Mankind." Kacie Candela won an award in the Interactive Media-Student category for Podcast Host of Prickly Politics. 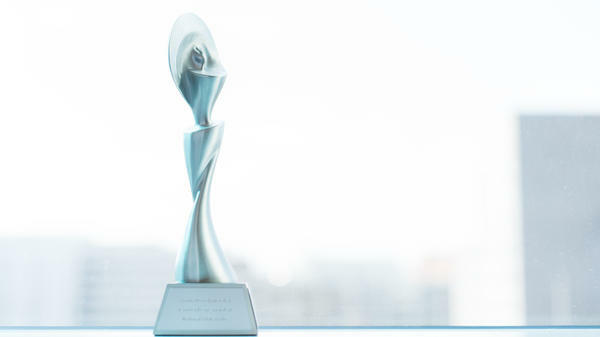 This is the eleventh year in a row NPR women have won Gracie Awards. Congratulations to all of our NPR and public radio winners on this accomplishment. In addition to those named in the Gracies announcement, there were countless other producers, editors, and more who contributed to these award-winning pieces. You can find all of the winners on the Gracies website.